Welcome to our computer course page. This page let's you know of the various course available. Click on the various links and you can learn InDesign in London. Or you may wish to learning Photoshop in Cambridge. 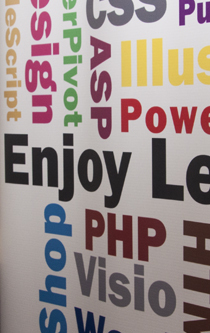 Norwich may be the place for your web design training course. We now offer courses within London at Hammersmith and Kensington, Chiswick, Heathrow. If you want to venture further out west we also run training courses in Reading. We can offer courses at an office local to you. So why not come to us and see what you can do with Photoshop, InDesign or Excel? If you have been a customer of ours around Cambridge then we have trainers who cover that area and we still use IT training facilities for our Cambridge IT courses. Same is true for our Peterborough, Ipswich and Norwich training courses. Give us a call for we can still come to you in Cambridge, Peterborough, Ipswich or Norwich to deliver a course in Photoshop, InDesign, Illustrator, Excel, Word, Microsoft Access and other software programs. We are delivering computer courses in Birmingham as well as computer courses in Leicester. This involves giving IT training showing how Excel, Access or a training course on website design can help your business. At one of our Birmingham training course offices we offer web design courses, computer programming courses along with post training support. 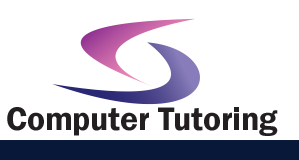 At our Leicester training course offices we offer computer courses as well. Please call us and see how we can help. Take time to check out our Coventry Training. Having delivered computer traininig courses for many companies based in Milton Keynes, Luton and Northampton areas nothing has changed we will continue to do so. Whether you need a training course in Photoshop. Or if you need an Excel training course in Milton Keynes we are willing to travel to you. Or you can come to a computer training course centre. ""Absolutely Brilliant. Feel very happy with the training provided"
"Excellent overview - A relaxed & communicative training session"
"Very impressed with the training course, was given books, cd's, advice and after care"
"Enjoyed the course, great trainer!" "Very informative, well paced, inclusive"